After a long week hitting the gym and stressing out at the office a massage sounds pretty good doesn’t it? But how decadent…. blowing 70 or 80 bucks just for a rub down? Well here is the low down on the benefits of massage to ease your conscious next time you decide to treat yourself. Massage as a part of your weekly routine can be incredibly beneficial for your overall health from your connective tissues and beyond. The most obvious benefit of massage is stress relief. Lower cortisol levels, heart rate, and insulin levels can improve your heart health notably. While cortisol levels are lowered your brain will get a nice dose of serotonin and dopamine that promote a feeling of calm relaxation and help acute stress fall to the wayside. Stress easily manifests itself in physical ways like tension headaches or stomach pains, getting massages regularly can help prevent these physical manifestations before they even occur. Massage can help improve blood circulation. Good circulation helps all the tissues in the body receive more blood, oxygen, and nutrients. Any existing damage in the body needs fresh oxygenated blood to reach the area to help it heal quickly. Lymph fluid carries metabolic waste away from the major organs; this fluid also needs help circulating sometimes if there are blockages that occur over time. The body’s cytotoxic capacity, AKA our body’s ability to fight off disease and infection is a crucial function of our immune systems. Studies have proven that massage can decrease the number of T-cells, thus improving the body’s overall cytotoxic capacity. 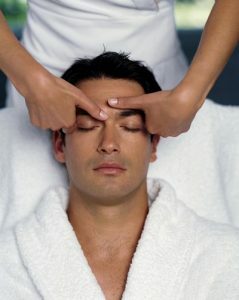 An immediate increase in serotonin experienced during a massage also helps to strengthen the immune system. There are different types of massage that cater to different health specific problems you might be experiencing. Here’s a hint: a Swedish massage isn’t a massage given by a Swede. This massage method is a much slower stroke that reaches deep down into layers of muscle. It is commonly used to help with muscle damage from injuries as it accesses connective tissue through the more forceful strokes. Massage for athletes to help them treat or prevent injury. This zones in on tight muscle fibers also known as muscle “knots” that can form in the muscles over time from stress, over use, or different injuries. A gentler stroke in comparison with deep massage. More circular movements and vibration help to relax the muscles and the mind. Just because it doesn’t “hurt so good” doesn’t mean it is not equally effective. The benefits of massage have been proven to help with many different disorders and health issues such as: anxiety, fibromyalgia, headaches, insomnia, myofascial pain, digestive problems, anxiety, joint pain, and strains. So don’t feel guilty about getting that next massage, it isn’t only about relaxing at the spa, it is a scientifically proven way to unclog the body’s tissues, improve circulation, and get fresh blood and nutrients to your muscles. Read More: To learn more about massage click here!